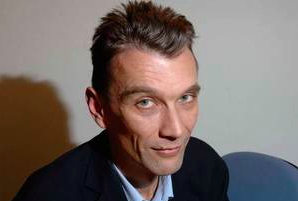 Pollsters really don’t like predicting things… so well done John Rentoul! The Independent on Sunday’s John Rentoul tried to do something creative today -far from easy -asking us political pollsters to use our data, knowledge and past experience to actually make a prediction for the May 2015 General Election! Pollsters shy away from making predictions – if you don’t make predictions, you can never be wrong, and no-one likes being wrong – especially people who have more information to hand than others – like the heads of polling companies (for example). To highlight the inherent risk of making predictions, the IOS pointed out at the end of the piece that all 8 pollsters last year (before Survation joined the BPC) forecast a Conservative overall majority. Now of course, pollsters love to say that their polls are “snapshots” of public opinion – we don’t posess crystal balls, even a week is a long time in politics and so on – and to a great extent that is true and often very relevant. However, quite a lot of polling company methodologies are not simply current “snapshots”. Adjustments and assumptions based on past behaviour in previous elections do feature heavily in polling company methodology. These aspects of methodology are not snapshots at all, they are decisions taken by the pollster that voter past behaviour will, to different degrees affect their future behaviour. There are also decisions made that the pollster’s sample does not contain enough or too many of a certain type of historical voter – for example the controversial “party ID” adjustment employed by some – again, not a snapshot – perhaps more “hark back” than snapshot. Survation’s constituency polling (but still not our national polling) long ago dropped past vote (2010) weighting and “spiral of silence weighting” – adjusting people who don’t actually tell us who they will vote for partially to a proportion of their previous voting decision. This can work well in a 2 party system but it particularly unhelpful when trying to calculate support for a surging Green, SNP or UK Independence Party – and companies such as ICM Research who have been consistently reliable in UK General Election polling will surely have this consideration in mind to retain their place on the accuracy podium. Finally we see very little value in “party ID weighting” – but that’s for another time. Market Research industry behemoth Ipsos MORI’s CEO Ben Page declined to provide any seat figures – and firmly channeled Donald Rumsfeld, listing the known unknowns (UKIP, Incumbency, The SNP) while global research titan – TNS’s Michelle Harrison stated she was less interested in this “horse race” than the public’s disconnect with the major political parties. Lord Ashcroft for his part declined to provide a prediction – but anyone following Ashcroft Polling’s research closely will have a pretty good idea of Michael’s very detailed and intensively researched take on 2015. For the record, below were my full back-of the-envelope thoughts, edited in the paper for space. Now, I’d better leave the laptop alone and help my wife take down the Christmas tree. Here’s to an exciting 2015! DLL. “The Conservative party’s quest for an overall majority in 2015 has been stymied on four fronts: the Lib Dem blocking of boundary changes; the rise of UKIP; the Conservatives’ lack of sufficient progress in Lib Dem seats; and the Conservatives’ relative underperformance in key Lab-Con marginals. These make a Conservative majority highly unlikely in my view and would have resulted in a workable Labour majority were it not for the wild-card rise of the SNP in Scotland. In such a febrile environment after the independence referendum, uniform national swing is useless for this purpose but would, using Survation’s December Scottish poll, predict almost complete wipeout by the SNP in Scotland of the traditional Westminster parties and result in 40+ seat gains – mostly at Labour’s expense.